We provide a full range of antenatal and postnatal care. Clinics are run at both Saville Place and Newbiggin Hall surgery and provided by the Community Midwives. At Saville Place this clinic runs on Monday and Tuesday and at Newbiggin Hall on Thursday and Friday. Other appointments are available but are made by the midwives themselves. We provide a full child health surveillance service working alongside our local health visitors and school nurses. Routine examinations are done at 8 weeks and a health assessment is done at 8 months. You may contact any of the Health Visiting team for more information on 0191 2823411. Please remember for patients over the age of 16 years that emergency contraception is available over the counter at local pharmacies. Alternatively you can attend the Newcroft Sexual Health Clinic (website) - 0191 229 2999 for appointments or attend one of their walk in clinics Mon/Tues/Wed/Fri 9 - 1pm, Thurs 10 - 1pm. 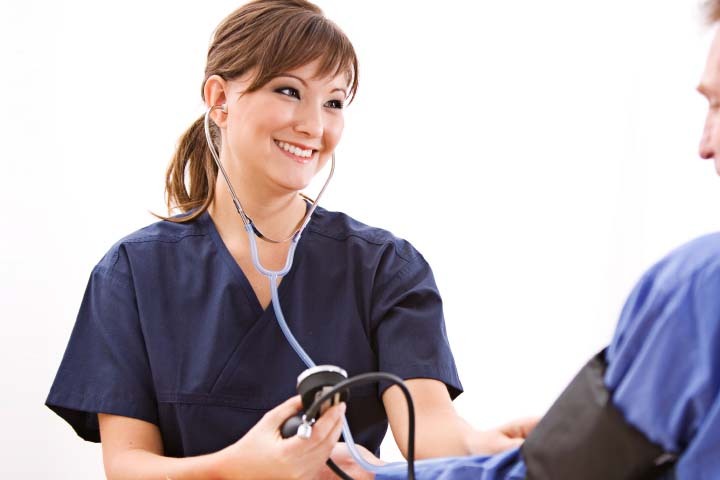 We have nurses that are trained in these areas to give guidance and support including lifestyle/dietary changes and prevention of complications. Our asthma/COPD nurses are able to change inhalers or increase doses when needed. All annual reviews are done in the month of a patient's birthday, but any problems in between this we actively encourage you to book an appointment to be seen. About 1 in 8 women in the UK are diagnosed with breast cancer during their lifetime. If it's detected early treatment is more successful and there is a good chance of recovery. All women aged 50 to 70 and are registered with a GP are automatically invited for breast screening every 3 years. Some older and younger women are also being invited for breast screening as part of a study for screening in different age groups. Results are normally sent out to you after 2weeks of your appointment. It is always your choice whether or not you have breast screening - if you wish to discuss this with either a nurse or a GP please contact the surgery as they are more than happy to discuss with you via a phone call. Alternatively please look at this website re breast screening. The practice in line with NHS guidance offers cervical screening to all women aged 25 - 49 every 3 years and all women aged 50 - 64 every 5 years. Smear tests can detect any early changes that may lead to cancer developing. Our practice can offer early morning and late evening appointments, our practice nurses and nurse practitioners are all highly trained in smear taking. Our practice uses single use equipment only, results are normally back within 3 weeks. For patients who would like to discuss the benefits of smear tests or chat about any concerns they may have should contact the surgery and ask for one of the nurse practitioners or practice nurses to ring them as they are more than happy to discuss via a phone call. Alternatively please look at this website re cervical screening. Our clinical pharmacist is a highly qualified healthcare professional who has trained for many years to become an expert in medicines and how they work. The pharmacist has the ongoing task of providing safe, effective, up to date and efficient prescribing for our patients. He is available to review your medication and discuss specific problems or concerns about your medication and offers some face to face appointments, telephone consults, or can receive messages via reception. Seeing our pharmacist allows Saville to provide you with additional quality healthcare services that meets your needs. We are developing this service to better meet patient needs and will be adding a clinical pharmacist to the team in early 2019 to work under the supervision of the Senior Pharmacist and allow us to increase the number of clinics.